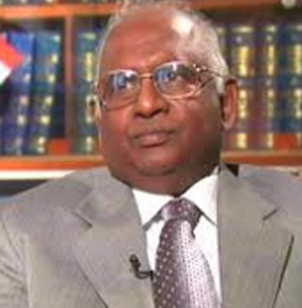 'India in shambles - Only the judiciary can save us' by Mr K.C. Agrawal is a testament of thorough inquest and an endearing enquiry into the body politic and socio-economic dynamics of our beloved country. This book in Part 1 highlights the historic and current scenario of Social and Economic regression in our country due to the crumbling pressures of systemic inefficiencies, which stems in part and parcel from the deviant enforcement of the constitutional setup of our country. The author has rightly traced the larger issues of poverty, corruption and other maladies facing the nation from the prisms of economic fundamentals, constitutional and international law and a persevering rational and reasoning ability backed with exhaustive research. The importance of Judiciary and its role to preserve and propagate the spirit of the constitution and the good of the country and its people have also been delved into by the author. The book leads the reader towards light through its Part 3 which I found to be the most engaging. It entails identifying the various problems that begrudge our country, to detailed propositions to tackle them. From identifying our resources at the macro and micro level to systemic application of them, from the basics of infrastructure such as, transportation, communication, health, power and education to elaborating about urban settlements which can be sustainable hubs of growth and progress. In a sanguine spirit this book forays onto the rightful path of constructive investigation and thought. It is an informative account spruced with the author's intent to see our country rise into the realm of prosperity for itself and its people. I wish the author success for this work and in all his future endeavours.